TV Anime Rewrite PV 3. A lyrics video I made for the song 「 ささやかなはじまり」 ( Sasayaka na Hajimari). It’s like a MAD/AMV but I prefer to call it a lyrics video because what I have in mind is to have the music and animation to fit the meaning and story of the lyrics. Originally from Rewrite Harvest festa! Original SoundTrack “Feast”, and also the ending credits song for the game. 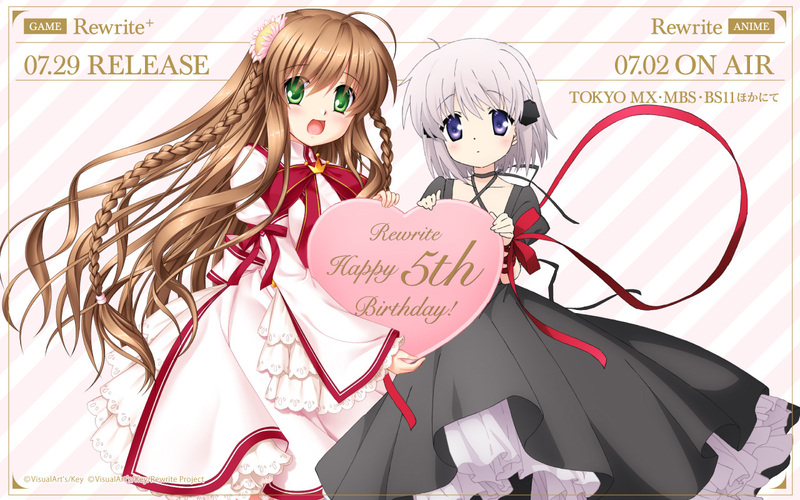 It is also announced to be the ending song for the upcoming Rewrite anime! DISCLAIMER: All contents expressed in this video are copyright of their respective owners. All audio expressed in this video are copyright of their respective owners.